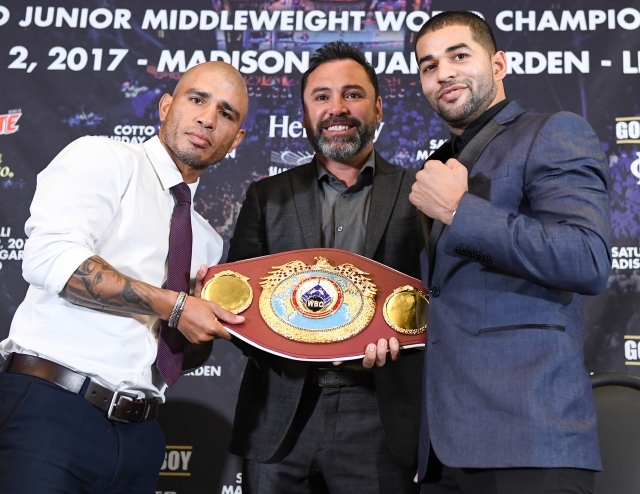 On December 2nd, boxing will say farewell to one of its flagbearers, Miguel Cotto, when he defends his WBO World Super-Welterweight Title against Sadam Ali. The Puerto Rican promises this will be his final fight before stepping away from the limelight. Speaking to Fight Hub TV last week, the legend is confident he will not get emotional during the bout: “I don’t think I will. This training camp also marks the final time ‘Junito’ and trainer Freddie Roach will prepare together. The WBO Champion is sure his last ever bout under Roach will be a good experience. “We’re going to enjoy every second together all the way. All I want to say [to the fans] is thank you to them and thank you for having me here,” he added. Nobody thinks Ali has a chance. I'm so sure of it, I'm not going to even waste my time watching it. Kind of like your last fight. Cotto=non-essential viewing.